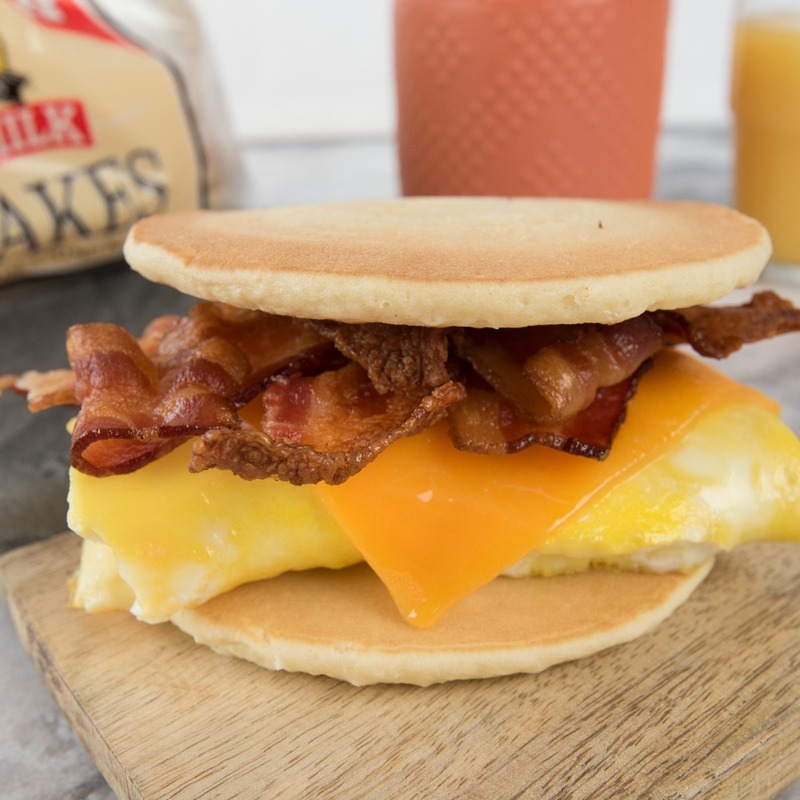 Say "so long" to your boring breakfast routine with this sweet and savory sandwich, made with De Wafelbakkers' mouth-watering Maple Pancakes (or any flavor you like!) This recipe is a fan-favorite, sure to get the whole family jumping out of bed in the morning. *Feel free to use other meats you may be in the mood for to create a variety of breakfast sandwiches. Cook bacon to desired crispiness and prepare eggs to your liking. While bacon and eggs are cooking, pop your pancakes in the microwave and cook according to the instructions on the package. Place one pancake on a plate and top with egg, bacon and cheese. Place the second pancake on top to complete your breakfast sandwich. And just like that, you’re a “morning person,” after all! *Chef Tip: Make ahead, wrap in tin foil and freeze for a quick, grab-and-go breakfast. Just re-heat in the microwave for 1 minute and 30 seconds and you’re good to go!